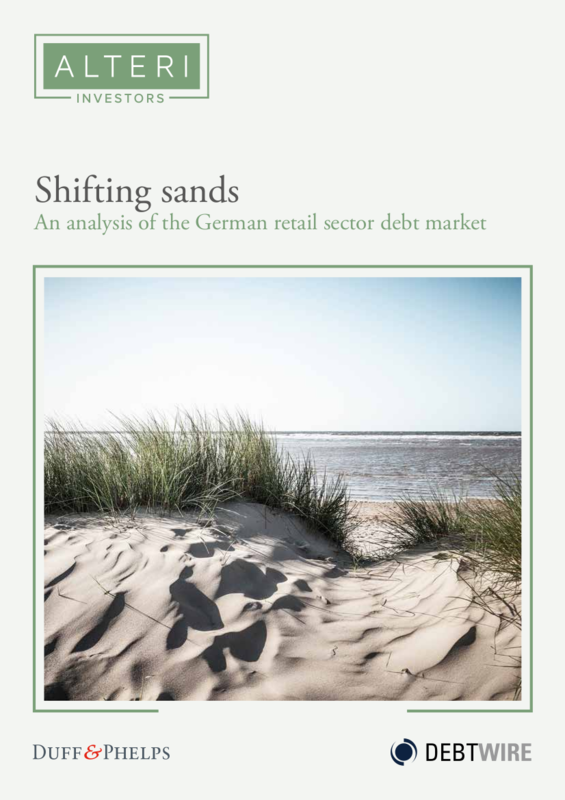 We are pleased to present Shifting sands: An analysis of the German retail sector debt market, published in association with Alteri Investors. Based on interviews with 100 German retailers, the results paint a clear picture of a sector going through a transformational period, both in the way businesses retail and the shape of their debt financing. Over a third of German retailers expect up to 30% of future borrowing to come from credit funds, suggesting they are set to become a mainstream source of funding for the sector. Traditional term loan debt from banks remains the main source of capital for the German retail sector, but availability of finance has tightened significantly in recent years. Demand for flexible and stretch funding is at its highest as retailers navigate the route to omnichannel while dealing with the legacy of too many stores. 11% of respondents’ existing debt comprises ABL and lending from direct lending credit funds (mean). Retail assets and IP licensing are significantly underleveraged, opening the door to future asset-based lending. Maturity profiles and headroom indicators further support the future growth of alternative debt financing in retail.